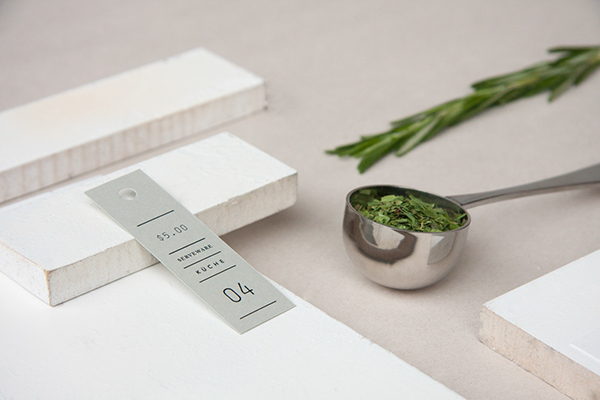 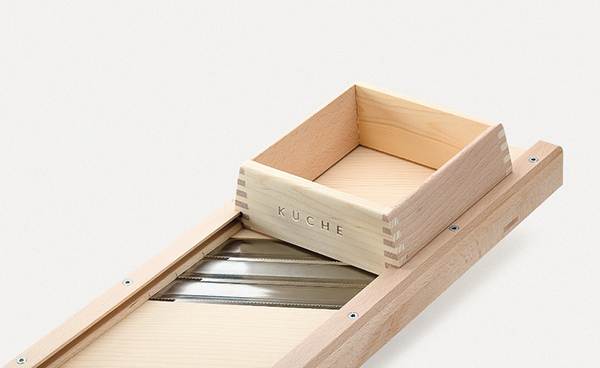 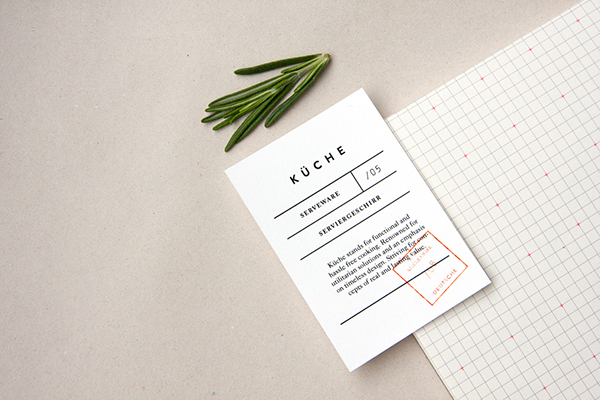 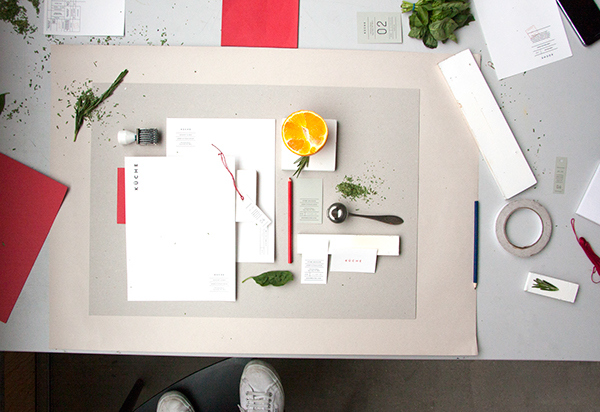 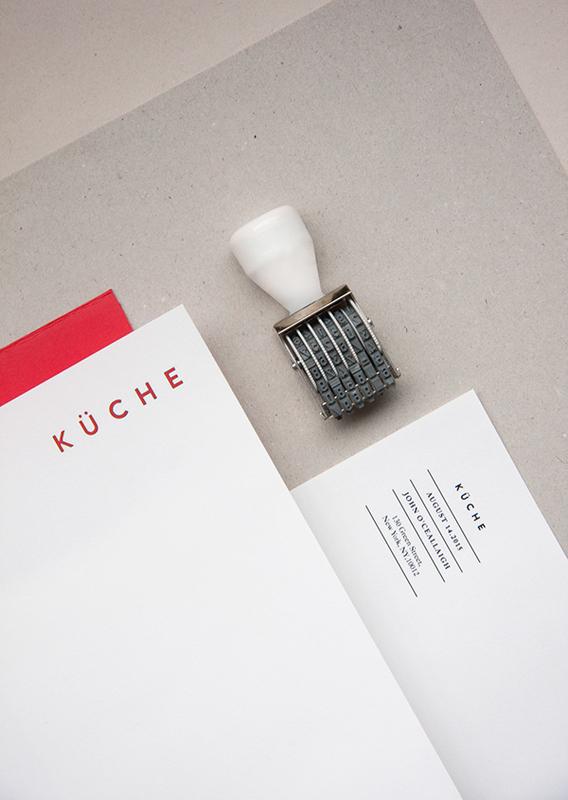 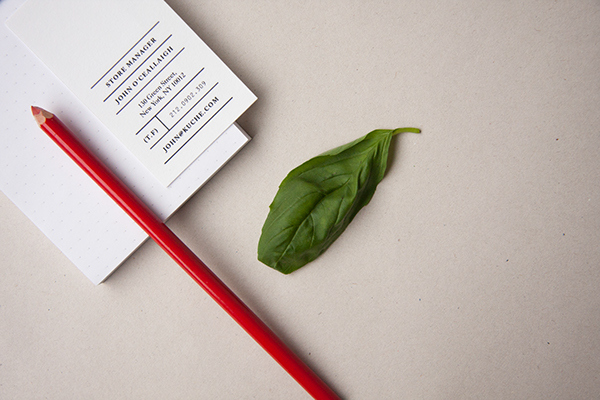 Küche is a German styled kitchen tool and utensil company aiming to provide products without frills and gimmicks. 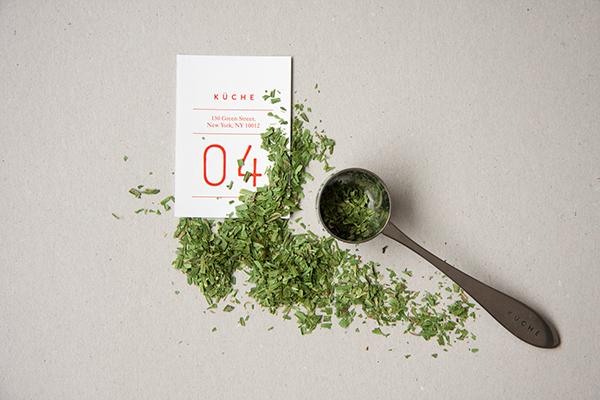 The concept was inspired by John Ruskins quote, as with each new kitchen gadget comes a new weariness of breaking parts and uneeded uses. 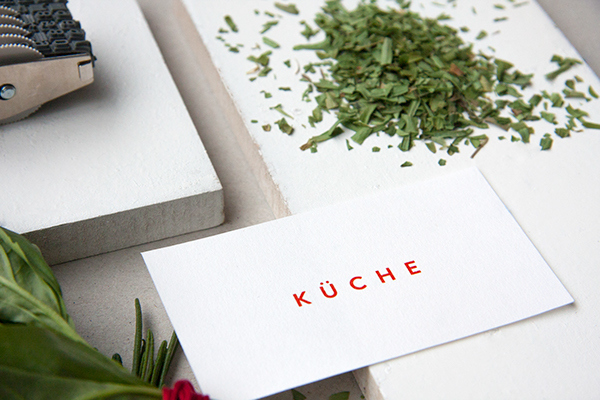 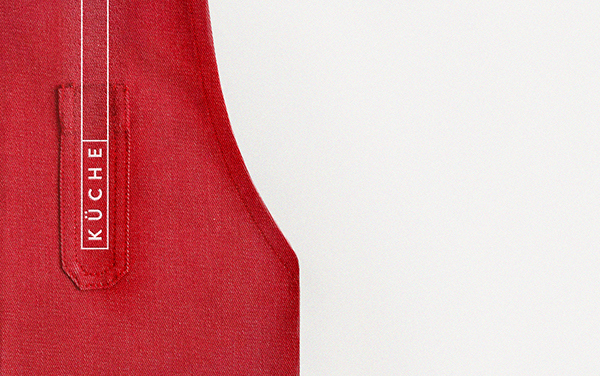 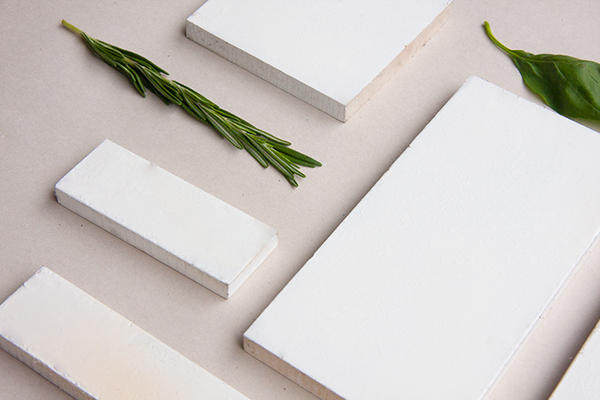 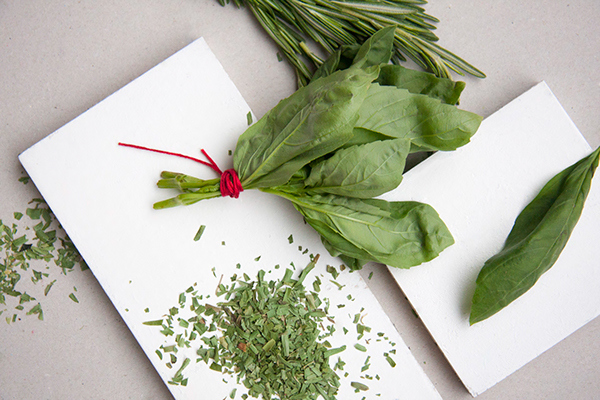 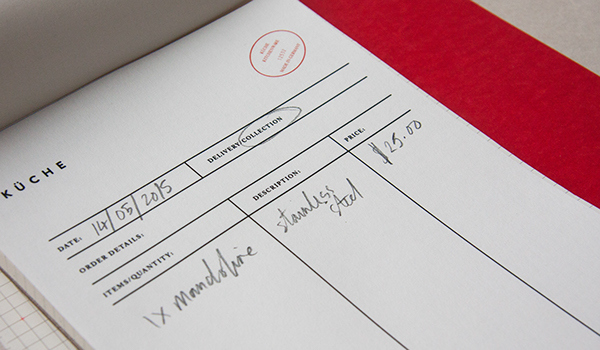 Küche supplies the essentials of home cooking that are crafted to the highest quality. 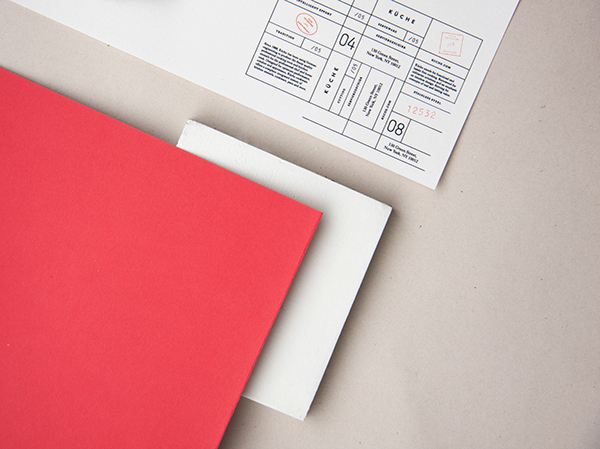 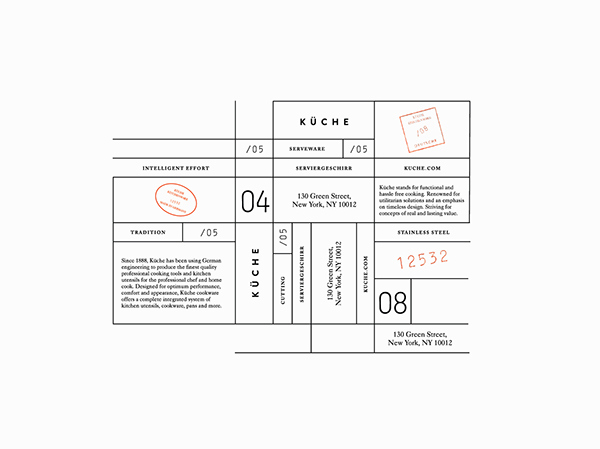 The identity is created from a utilitarian grid that splits in numerous ways to accommodate the brands needs and functions. 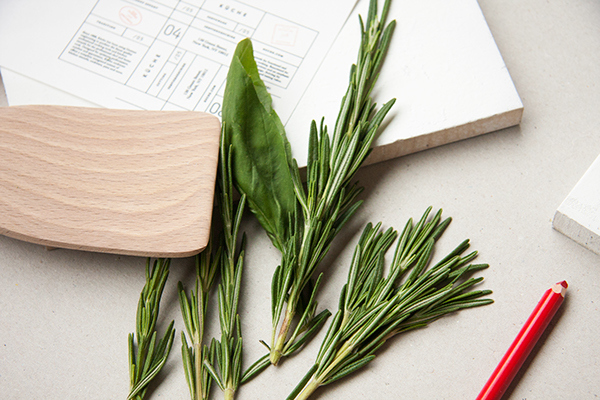 The traditions of German steel manufacturing are accompanied and softened by some of the essential ingredients of cooking to create a balance of quality, functionality and simplicity. 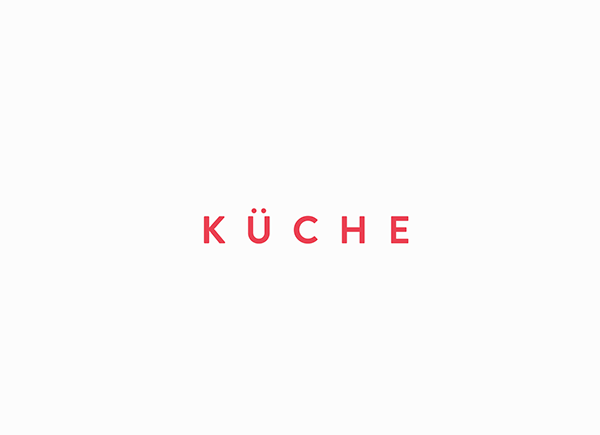 "Every increased possession loads us with new weariness" - John Ruskin Küche is a German kitchen tool and utensil company that aims to provide the highest quality products without frills and gimmicks. 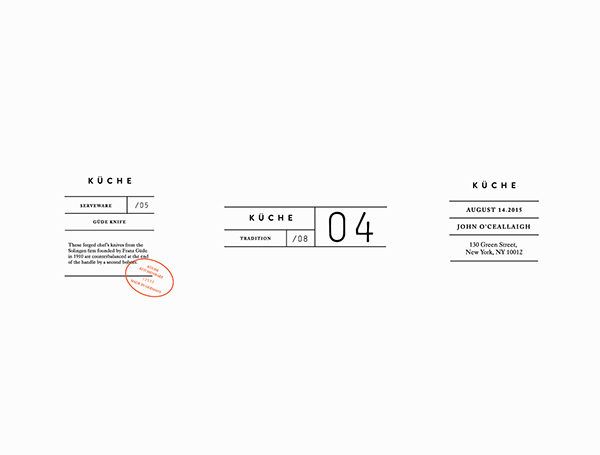 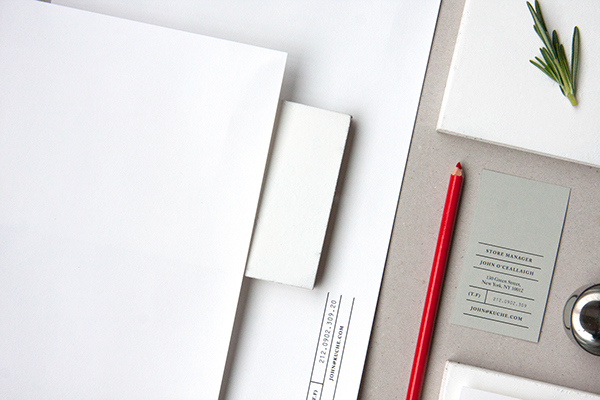 The identity is created from a utilitarian grid that splits in numerous ways to accommodate the brands needs and functions. 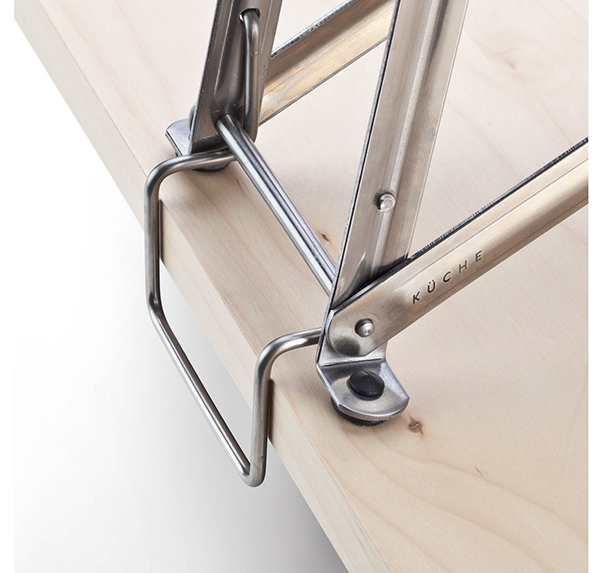 The traditions of German steel manufacturing are accompanied and softened by some of the basic ingredients of cooking to create a balance of quality, functionality and beauty. 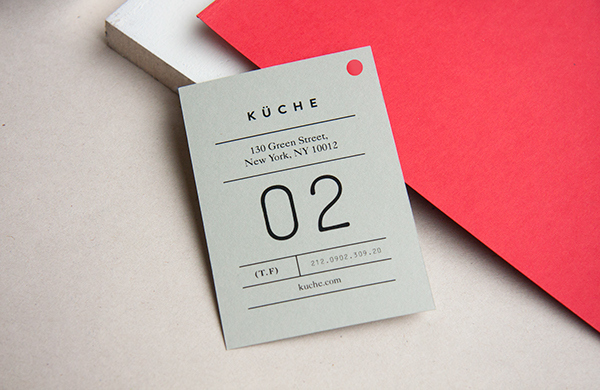 Project completed at SVA set by Eric Baker.